According to a 2014 national study, 65 percent of students have opted not to buy a textbook during their academic career because of cost. The Textbook Initiative began as a partnership between the Miami University Parents Council, Associated Student Government and the University Libraries to address this problem. In 2016, donors contributed more than $3,600 during the #MoveInMiami day of giving campaign to ensure students have access to the textbooks they need. Through the program, textbooks to many of Miami’s most popular classes are made available to students on two-hour reserve, meaning they can be borrowed for two hours of in-library use. If no requests are made for the book during that time, a student is welcome to renew the book for another two hours. In 2016, Miami made 500 textbooks—at an average cost of $120 each—available in its King and B.E.S.T. Library locations. 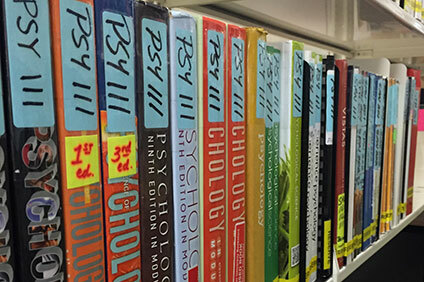 Textbooks on reserve are also available at Miami University Hamilton and Miami University Middletown. To search available textbooks, type the title of the textbook or the course abbreviation (i.e., BUS 101) into the catalog search field.